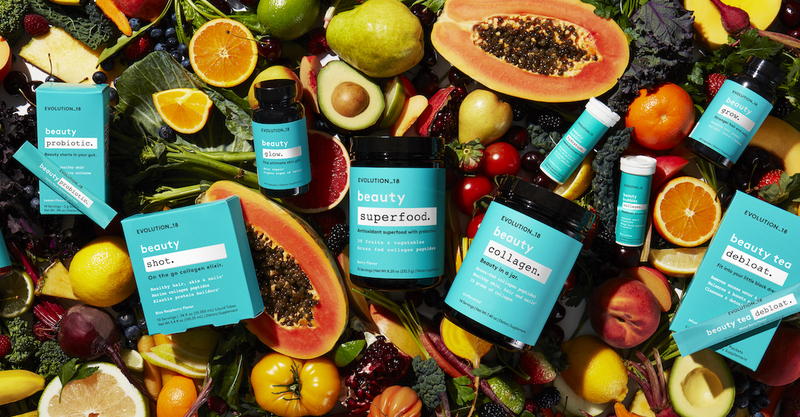 Makeup guru and cosmetics innovator Bobbi Brown recently left her eponymous cosmetics company, went back to school to become a certified health coach, and launched a beauty ingestibles brand called EVOLUTION 18 from her new company justBOBBI. The wellness brand is composed of tablets, powders, teas, vitamin gummies, and more nutrient-boosting products. And now, the line of natural beauty-boosting products has become even more accessible, because it just launched at Walmart! Typically, wellness brands target luxury markets, but Bobbi Brown’s line will be more affordably priced between $10 and $20 per item. The superfoods, probiotics, vitamins, bloating treatments, and tons of other options are currently available on the shelves at over 1,500 Walmart stores nationwide, and online through walmart.com. The decision to partner with a massive, bargain-driven company like Walmart was totally intentional on the brand’s part. You can shop quick-melting probiotic powders, collagen shots, antioxidant blend tablets, hair and nail growth gummy vitamins, hyaluronic acid tablets, protein powder, debloating beauty tea, and more from Evolution 18 at Walmart now. More news from the Bobbi Brown brand. More beauty supplements to check out.